God of War Environment Artist Nate Stephens and Lead Environment Concept Artist Luke Berliner share a lot of details about many aspects of the game. 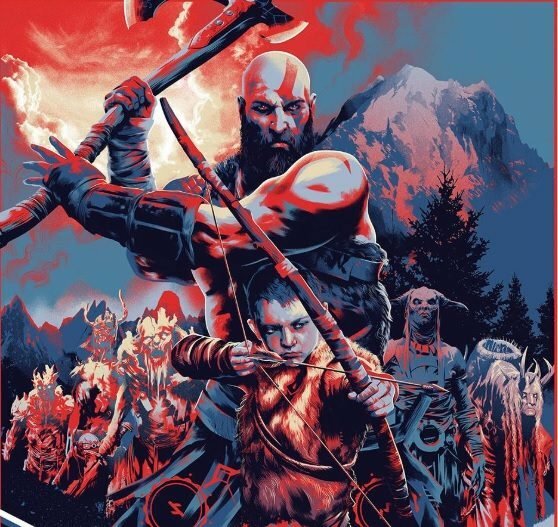 Sony has been hosting a series of podcasts on the God of War official site, and the latest episode included a chat with Lead Environment Artist Nate Stephens and Lead Environment Concept Artist Luke Berliner. First of all, we learn that Stephens’ team of environment artist is made of thirty to forty people depending on what they’re working on. Interestingly, Stephens explained that at the beginning the team working on the game was really small. An initial pitch idea was to completely abandon what was done with the franchise before, including the big setpieces with giants and titans, and go “really minimalist and really realistic.” That idea appeared attractive for a while, but it really did not match the DNA of the studio. In the end, the team found a happy medium where everything was a little bit more realistic, but they were not chasing realism. They coined the term “Mythical realism” to define that. This concept has three pillars: historical detail, mythology, and heavy inspiration from the eighties’ fantasy movies. The color correction is set to give a more filmic look to the game. On the other hand, the setpieces are a little smaller compared to the previous games of the series to make everything feel slightly more intimate, but since the camera is closer to Kratos, they feel just as impressive. There are nine realms, held within the branches of the Yggdrasil tree, and they’re all connected. While mankind lives just in the realm of Midgard, the gods inhabit pretty much them all and can travel between them. Midgard is similar to the real world, while the other realms are much more fantastical. During his journey, Kratos learns about the other realms and is taught how to move between them. Director Cory Barlog did a lot of research on the realms, and the team tried to match that research at least in broad strokes. For instance, Helheim is really cold. Alfheim is the realm of the elves, which influences its overarching look. Yet, they also took some liberties. They try to be true to the mythology as long as it suits the story. In the beginning, finding the right look for each realm was quite challenging, as the goal was to make them look very distinctive. During the three and a half to four years in which Sony Santa Monica worked on the game, the concept team prepared “hundreds if not thousands” of drawings for this purpose. For instance, just to find the look of Alfheim, it took three to four months, while Helheim required a couple of months. Interestingly, the initial pitch to Sony included a demo set in the mountains of Midgard. While it went well, and the company’s executives gave the team the green light, they realized that it looked more like the Sierra Nevada instead of a Norse forest. They had to make some tweaks because Norse environments are much greener and wetter, with shorter trees, lots of moss, and not as much variety as what you would see in an American forest. The team went to Iceland, Scotland, and they learned the ecology that they would then translate into the game. Interestingly Stephens appeared to drop a rather intriguing hint, by mentioning that while they might not have hit the perfect look of a Norse forest with this game (while “it doesn’t look bad by any means”), hopefully, there might be another afterward that will allow them to improve on it. That being said, the game’s environments are very atmospheric and there is a lot of fog, so people won’t certainly feel like they’re in California. We learn that there were some challenges when moving from the concept phase to level design, that weren’t present in previous games. Berliner’s team can paint some really beautiful artwork, and in older God of War games Stephens’ team could simply go ahead and reproduce them thanks to the fixed camera. Now you can spin the camera around 360 degrees and run right up to elements of the environment, so the paintings just serve as a sort of guidebook. On top of that, textures are eight times as large as they used to be, but the Blu Ray disk is the same size. This is the first time in which the team had to find out how to make things happen, while in the past, they simply did it. At times they actually can’t pull off the concept exactly, so they simply have to get as close as they possibly can. Other times concepts are more like guidelines, but there are some elements that Barlog is really passionate about, so the team spent months tuning them so that they could work as originally envisioned. Berliner mentioned that there are areas in which the environment team achieved results that were just like the paintings or even better. 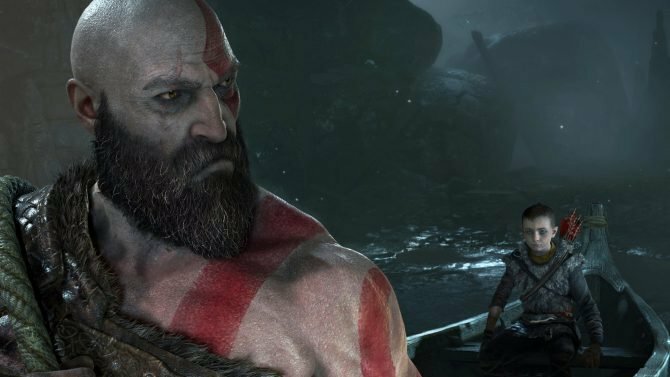 According to Stephens, God of War includes a couple of levels that are unlike anything we’ve ever seen from a design standpoint. Berliner added that since Barlog wrote a “really awesome story,” the team put a lot of effort into contextualizing things within the environment. There are many details that people might never consciously notice, but hopefully, they’ll still be perceived subconsciously. Stevens hinted that he thinks that what was done with the World’s tree is “very cool.” It interacts with the architecture in a way that looks like someone pruned it to carefully guide it along the walls. It’s hard to explain it, but it’s unlike anything he has seen in any other game while fitting the narrative and the realms really well. According to Berliner, that’s an example in which the team worked to contextualize design mechanics so that they fit into a “really nice art wrapper,” and the realms can look really good, while not feeling “super-gamey” but still gameplay-friendly. It’s also a good example of how they somewhat “distorted” the mythology when they needed to. On the other hand, Stephens mentioned that with Helheim the team came up with a “strange” idea, which he thinks is going to pan out well. None of the designs are “common,” as the team tried to push the envelope. The story is based on going through the realms in a certain order, using the specific characteristics of each to the advantage of the story itself. For instance, Helheim is really cold, and it fits into a part of that story where that matters. Each realm had to be created with certain elements that would guide the story in the intended direction. 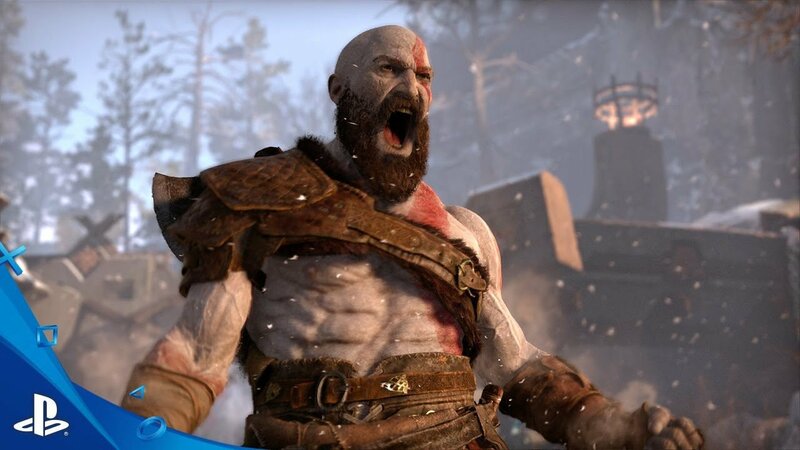 Kratos has more than one dimension in this games, and he is not just a sort of “vengeance guy” anymore. While that part still exists, he has to raise a kid, even if he might not be very well suited to that task. In the previous games, the team had a set of “Kratos Rules.” For example, one dictates that he does not step back from a fight. Those rules are still mostly in place, and he is still a very efficient Spartan Warrior, but the team is adding more elements on top of what was there before. Interestingly, Norse mythology, in general, includes a lot of humorous situations, like a story in which Thor loses his hammer, so he disguises himself as Freya to marry the giant that has stolen his weapon. While the game doesn’t include anything that crazy, there is still a little bit more humor than in previous titles of the franchise. There are also more feelings and emotions. There are a lot of environmental hazards in the game: Many elements stop the player from progressing, whether they’re puzzles, combat, or more. They all essentially function as doors to give the player a sense of achievement when they overcome the obstacle. For instance, there is a level with explosive world tree roots and Kratos has to use logic to make his way through them. Due to the fact that there are no camera cuts, it’s was challenging to guide players where they need to go. There are visual markers, but they are subtle so that they don’t negatively influence the player’s immersion and emotions. That being said, there are forks in the road, and paths players can take straying from the main route. It’s not an open world, but there are choice and freedom. In places like the Caldera Lake and Alfeim, you can explore on a boat, and get off at a beach and explore further, maybe finding a hidden dungeon or something of that sort. The motto of the team is quality over quantity, and everything has to be “awesome.” They’re currently in a stage in which Stephens flies through the game and draws red boxes around rocks and other elements of the environment that need to be further improved. 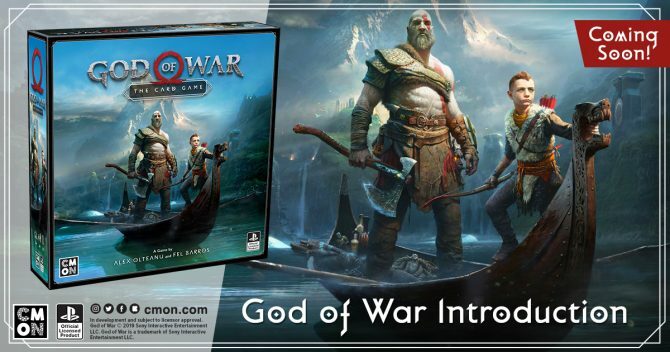 That being said, the square footage of the game is actually much larger than in previous God of War games, which surprised the team. Typically they made ten-fifteen hour games, but this one is much bigger even in terms of size. If you want to see more about God of War, you can enjoy the latest story trailer, another recent trailer, and some more information about the combat system. The game will launch on April 20th exclusively for PS4.